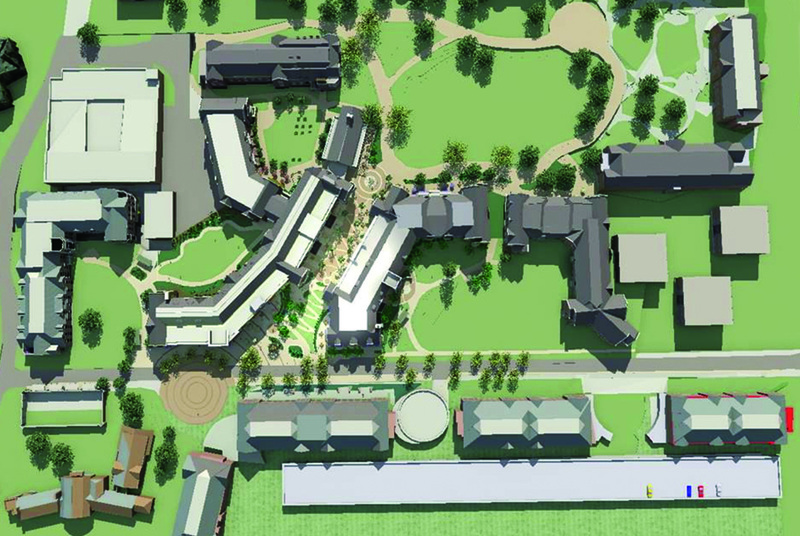 The South Forty Student Quadrangle is situated in a low valley that is remote to the historic campus. 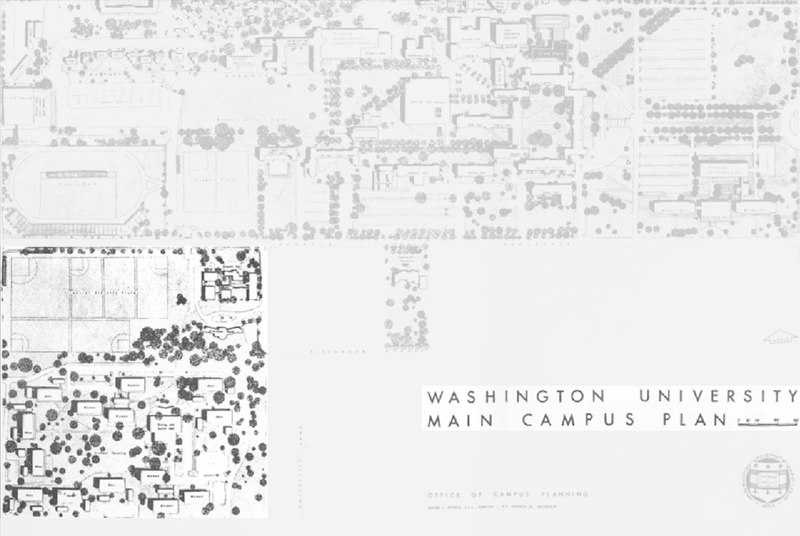 Kevin Sloan Studio planned the building connection between the housing quadrangle from a student promenade, negotiation a thirty five foot vertical grade change between. 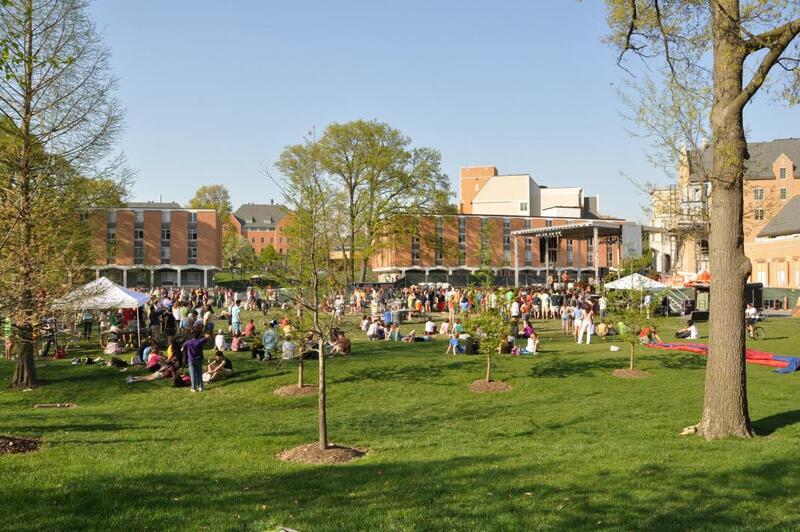 The unique circumstances of the site and the remote geographical location of the student center provided an occasion to make a meaningful break from the organization of the historic campus that establishes its own identity and topographically driven orientation.